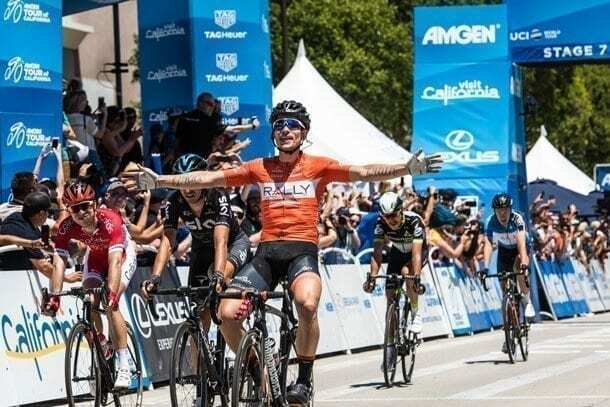 After cycling for seven days and 583 miles across California, Team LottoNL-Jumbo’s George Bennett (NZL) claimed the 2017 Amgen Tour of California race championship today in Pasadena with an overall time of 22 hours, 54 minutes and 38 seconds at America’s largest professional cycling stage race. In his third Amgen Tour of California appearance, the New Zealander had ridden in second place overall since Stage 2 Monday, until overtaking the race lead fromBORA-hansgrohe’s reigning Polish National Road Race champion Rafal Majka in an inspired Big Bear Lake Time Trial ride on Friday.Today’s victory marks the first WorldTour overall race win for a New Zealand professional cyclist. After Stage 7 presented by Breakaway from Cancer®from Mountain High to Pasadena, Majka ended the race in second place, 35 seconds behind Bennett’s overall time. Cannondale-Drapac Pro Cycling Team’sAndrew Talansky (Napa, Calif.) rode into third place overall yesterday, and maintained that position to earn his first career overall podium finish at this race (he was fourth overall last year). Talansky and Majka attacked Bennett during the stage, but ultimately were not able to pull back enough time to realign the leader board today. American riders Brent Bookwalter (BMC Racing Team) and Ian Boswell (Team Sky) round out the overall top-5. 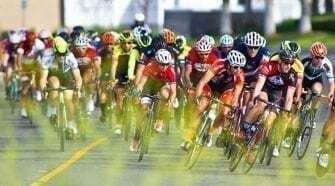 Huffman was contesting the King of the Mountain competition, a title he took at last year’s race, which has been led by UnitedHealthcare Pro Cycling Team’s Daniel Jaramillo (COL) since the second day of racing this week. Huffmanswept the three KOMs today, and the bonus points nearly earned him the category win. Huffman instead took his second stage win of the week (he also won Stage 4) and clinched the Breakaway from Cancer® / Breakaway from Heart DiseaseTM Most Courageous Rider Jersey. Jaramillo retained the Lexus King of the Mountain Jersey. Team Dimension Data’s Lachlan Morton (AUS) also spent the day in the breakaway.Morton picked up maximum Sprint points outside of Pasadena, and along with his determined ride today, earned back theTAG Heuer Best Young Rider Jersey, which Morton he had held since Stage 2, until it transferred to Team Sky’s Tao Geoghegan Hart (GBR) yesterday. “It’s a very nice race. Good weather, nice people and good stages. I’m very happy I got one stage. That’s very good for me….I got another green jersey, so I’m pretty satisfied with this [Amgen] Tour of California. 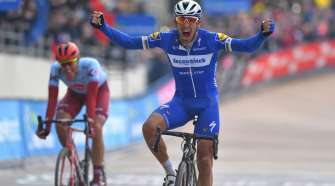 Yes, we could have done more, but a race is a race, and everyone is different,” said Sagan.